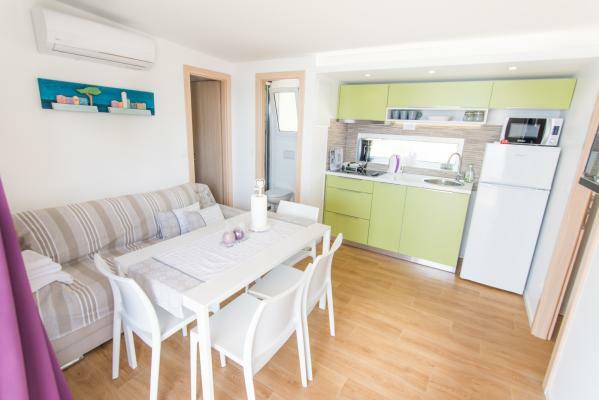 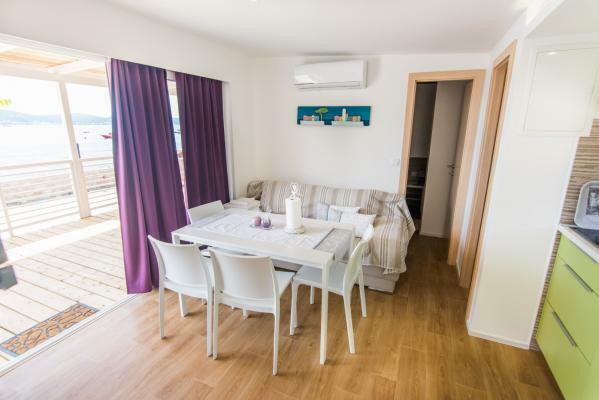 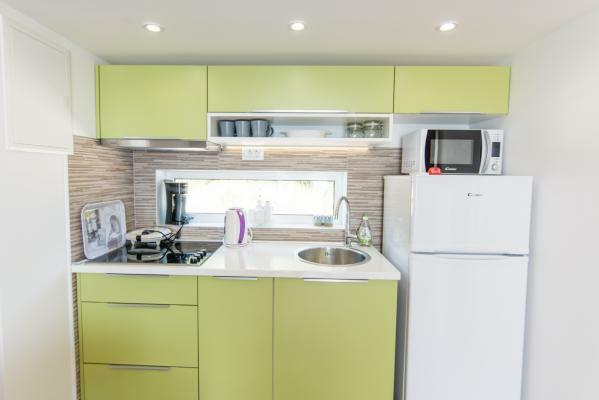 Directly on the beach in Biograd na Moru, in the Kumenat area, about 1,5 km from the Biograd town centre along a promenade by the sea, you will find this fully equipped mobile home Almond Tree 01. 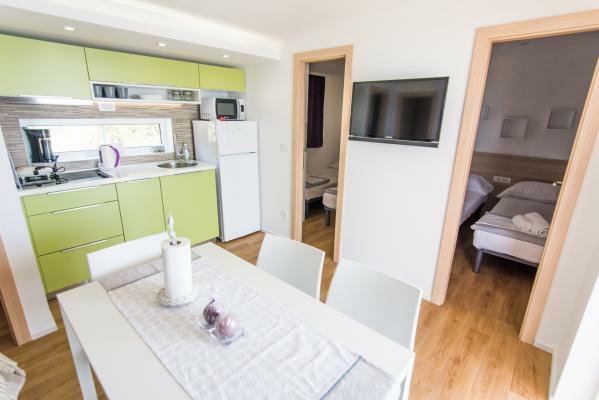 It can accommodate up to 7 persons, in its three bedrooms, one with queen bed and two with two twin beds each, and a sofa in the kitchen. The kitchen is equipped with a ceramic cooking plate, microwave oven, coffee machine, toaster, kettle and a fridge with a freezing compartment. 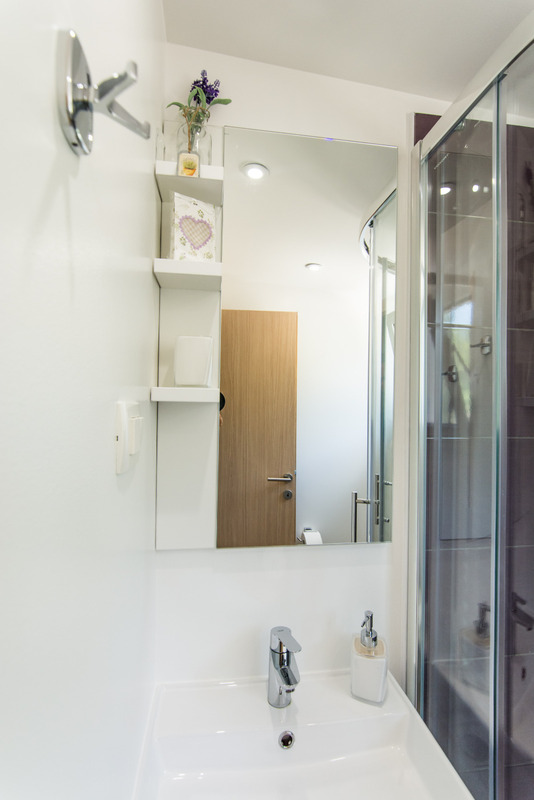 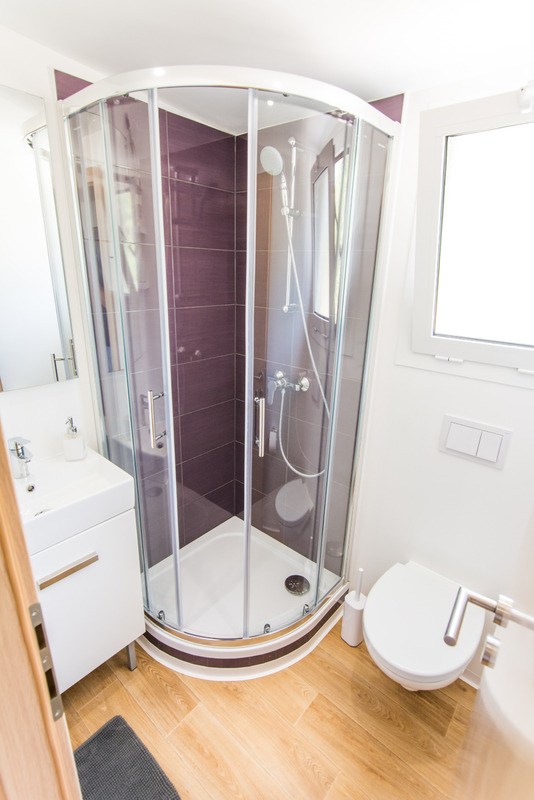 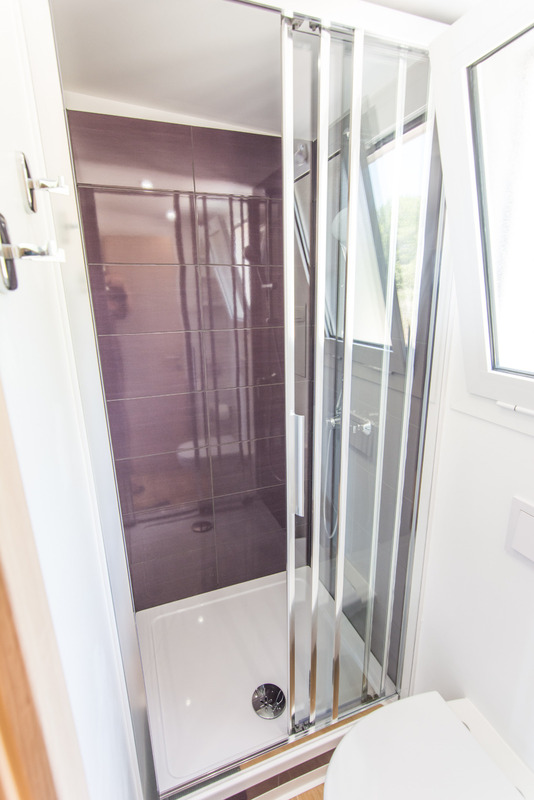 There are also two bathrooms with showers in this mobile home. The other amenities are the WiFi (Wlan) Internet, SAT TV, air-conditioning while there is a shower outside, only for the guests of this house. 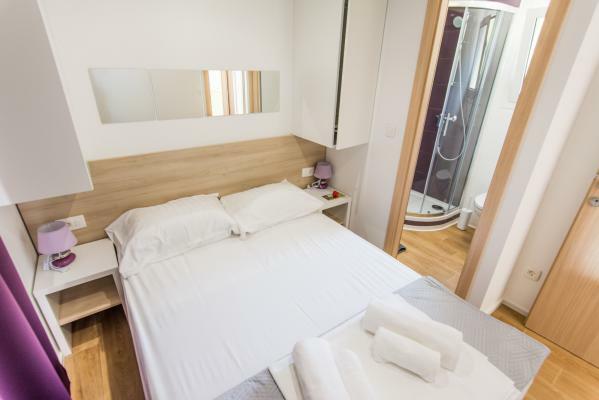 Regrettably, pets are not accepted in this accommodation. 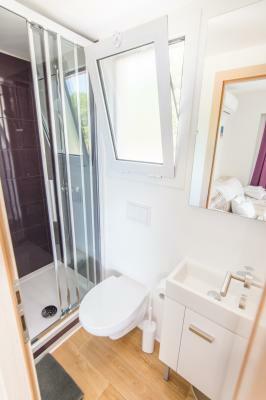 Next to this mobile home there is another identical one, of the same capacity - Mobile home Almond Tree 02, shown here. Grill is common for guests of both houses.